Experienced, compassionate team of psychologists, social workers, counselors, and psychiatrists can be consulted to determine the suitability of an appointment at no cost. For fifteen years, Mark D. Parisi, Psy.D. & Associates, P.C. has offered mental, emotional, and behavioral health services to families in the Chicago area. This year they have taken their dedication to their community and the children and families that need them one step further and have announced a free consultation program with no obligation so their needs and situation can be thoroughly explored before any decisions regarding appointments or further actions are made. 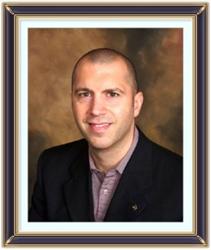 Dr. Mark Parisi is a licensed Clinical Psychologist who earned his Doctor of Psychology degree from the Florida Institute of Technology. He is also certified as a professional mediator with the Association of Conflict Resolution Institute. Families in need of counseling, mental health care, or geriatric care are urged to contact Mark D. Parisi, Psy.D. & Associates, P.C. by phone at 847-909-9858 or by email at drmarkdparisi(at)gmail(dot)com in order to set up a free consultation. Mark D. Parisi, Psy.D. & Associates, P.C.